The deck of the Marimba Angler is kitted with angling-specific features: two flush-mounted rod holders, deck rails and an anchor trolley. Long and narrow, the hull of the Marimba Angler still boasts superior stability, has really good glide, and it tracks very well even without a rudder. It has no trouble turning using paddle strokes. There is a lot of volume in the bow and stern of the Marimba Angler so that it can handle big volume rapids with ease and to punch through ocean waves. 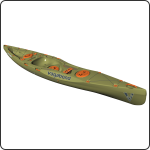 The Paddle Cutaways on the deck, combined with the narrow hull, encourages a very natural paddling stroke. 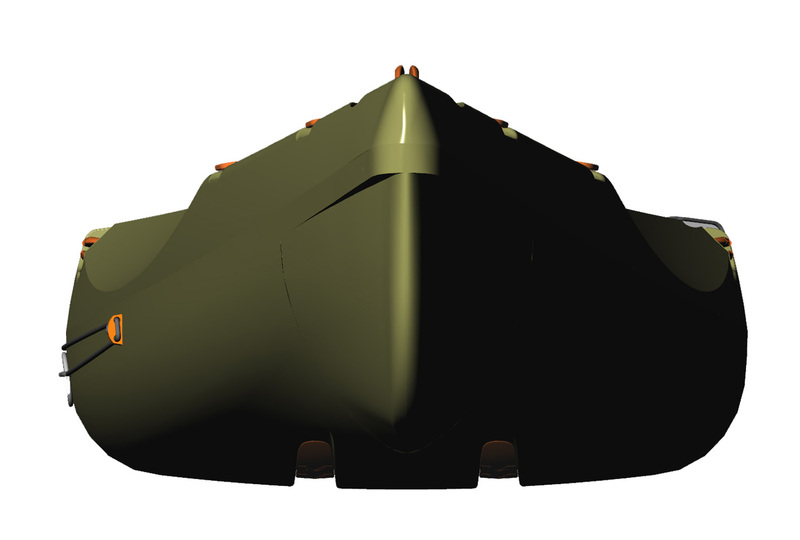 View of the bow of the Marimba Angler. View of the stern of the Marimba Angler. 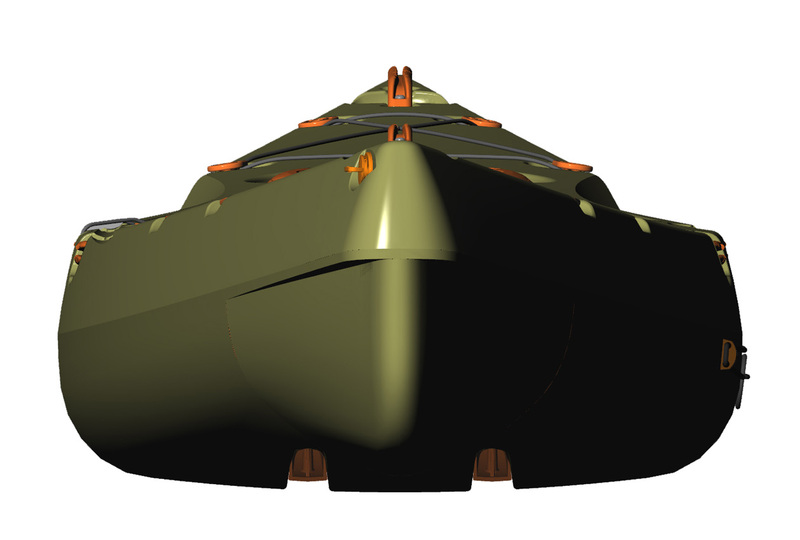 Side view of the hull of the Marimba Angler, showing the scupper venturi system, which drains water from the deck, double-handles on the side and the anchor trolley. The Tankwell and 8" Screw Hatch in the stern provide storage space for gear. Flush-mounted rod holders are placed on either side of the hatch. 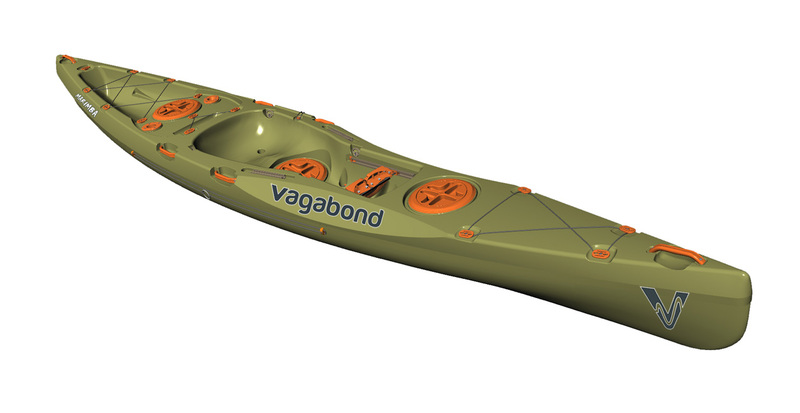 Long and narrow, the Marimba Angler is a fast fishing kayak. 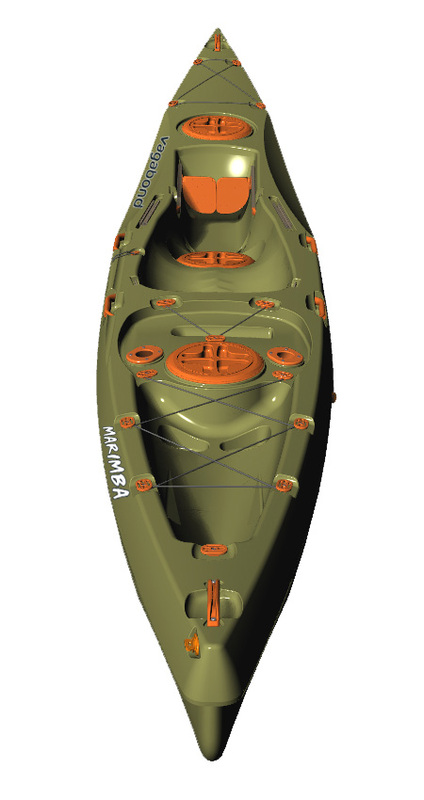 A view from the bow of the Marimba Angler deck, showing additional storage options with a hatch in the bow, Bungee Cord for quick-access items up front and a handy hatch in front of the seat.